Maybe that’s why Gearbest has been having sales on them. Two knives arrives today. They are so beautiful. I’ve been looking at that one, how do you like that AXIS lock button? The axis lock button is okay, but without ball bearing, it is tighter so have to fold using two hands. After playing it side by side with my Ganzo FB760, the plastic button is definitely better. Is that one an original design or a clone of something? Yeah guess I better hurry up and get mine. I’d like to find one with the Skeletonized liners though. 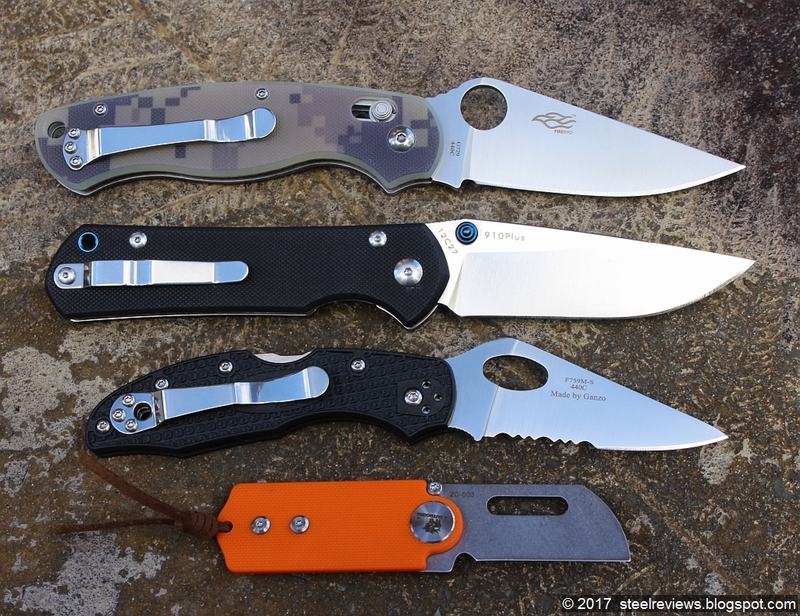 I wonder if they were ordered to cease and desist production by Spyderco. I think it is cloning 90% of original Spyderco Manix 2 XL. Has anyone from Australia had troubles getting knives from Gearbest into the country? I know customs can be difficult sometimes and just purchased 2 knives without thinking about whether they might be seized. The knives I’ve purchased from GearBest have all been inspected by Border Force which caused a delay, but they’ve all come through. As long as they’re not prohibited (e.g. assisted) you shouldn’t have a problem. 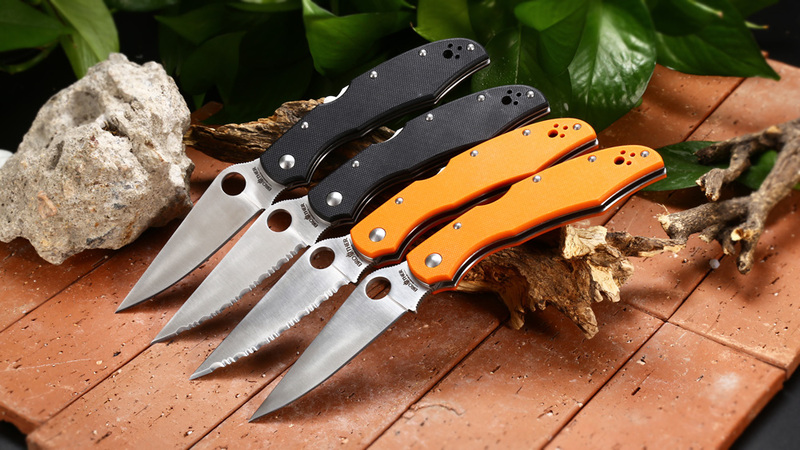 GearBest seems to describe some knives as assisted even though they aren’t, especially if they have a ball bearing pivot. What budget sharpening system is everyone using for their budget knives? Lansky 4-rod Turn Box Knife Sharpener, a budget alternative to the Spyderco Sharpmaker. You know that you can edit posts right? Out of curiosity has anyone tried the extremely cheap Dollar Tree sharpening stone? I just picked one up to mess with on some very cheap junk knives that I have. Currently my sharpening method depending on the state of the edge is choose a sandpaper grit, lay it on top of a mouse pad then pull at a slight angle keeping the edge perpendicular to the direction I’m pulling. I managed to get a knife that was dull to quite usable using this method, but it took some time. I’s like to try out one of those sharpmakers eventually. Thanks for the alternative skinny_tie! The Spyderco costs more than my entire knife collection currently so I’m always interested in budget sharpening methods. I haven’t sharpened my wife’s Spyderco yet but I think they are around 17 degrees. I just put the Ganzo on my KME sharpener and it looks to be about 20 degrees. With the cheaper steels its easy to change the angle though. I sharpen my knives when they got dull a bit, usually with a steeper angle than the original one. But I meant the blade thickness behind the actual cutting edge. Usually cheap knives tend to be quite thick, often with a thick blade stock because it’s “cool” to many people. But not the vertical blade play on some units. I read that some times in reviews. Also does anyone know if these models have been discontinued by Ganzo? As I know the CF version debuted with the skeletonized steel liners then they upgraded the solid G10 versions too. I bought my G729 last April at GearBest and it came with the skeletonized steel liners and the Firebird logo on the blade. I have no info about the grooved G10 versions. Sorry Adahn. I just checked it against her Spyderco and they are darn close to the same behind the edge. Its definitely a slicer and if there is a difference its minute. You mean Brother 1601 has blade play issue? Or you meant to say Manix 2 XL? The thing i can tell you is that the f729 cf has a better lock up deeper and it is skeletonized. I still can see the old ganzo models g729 in shops. Mine shipped yesterday from GearBest for $18.26 i have not used insurance or tracking on my last 2 knife orders and they still arrived. Mine is fine. But i don’t disassemble my knives. My Brother 1601 also has a solid lock-up (no blade play). These are the 2 i purchased. what do you think my chances are? For those interested in knives from around the world, I found this article quite interesting. I can’t see any problem with them – unassisted one handed opening knives, including flippers – aren’t prohibited imports. If you’re in Brisvegas and you’re interested higher quality (and slightly more expensive) knives it’s worth checking out Cleaver Firearms – they have excellent prices on Cold Steel knives. Ok, when it is unfolded, I put a lot of force on the back of the blade, now it has very tiny vertical blade play. Wish I didn’t do that. I wish I could add a comment there but there’s no button or field or anything to do that. Anyways, the Hungarian folder is not a Szankovits, (pronounce in english words like sun-co-witch), but a fejesgörbe (now this is impossible in english), which means fejes – has a head, the part around the pivot, görbe, it’s curved. Szankovits is one maker, there’s 4-5 other companies that still make such knives till today. Really navaja is a folder knife not a brand like opinel etc. Navaja is a knife style, not a brand.